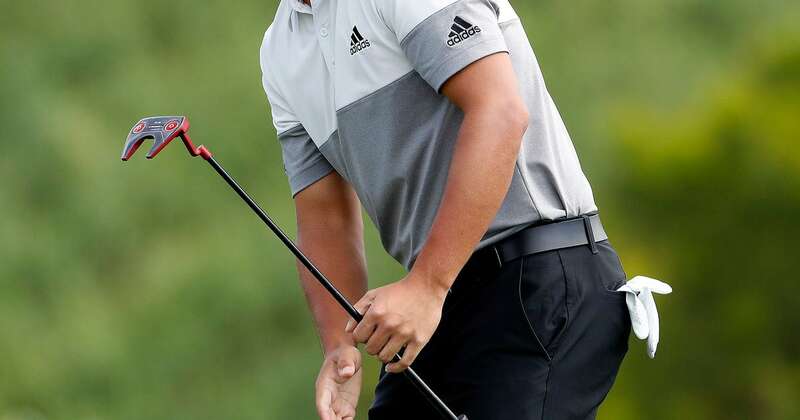 KAPALUA, Hawaii (AP) — Xander Schauffele tied the Plantation course record with an 11-under 62 on Sunday, and he needed every shot to beat Gary Woodland by one shot and win the Sentry Tournament of Champions. Schauffele started the final round five shots out of the lead and opened with a bogey. He ran off three straight birdies. He chipped in for eagle at the turn. He holed a 107-yard wedge for eagle at No. 12. Tied with Woodland over the closing holes, Schauffele finished birdie-birdie to tie the course record last set four years ago. Woodland, who holed a 12-foot birdie putt at No. 17 to tie for the lead, had a chance to force a playoff but missed a 10-foot birdie putt on the last hole. He closed with a 68.